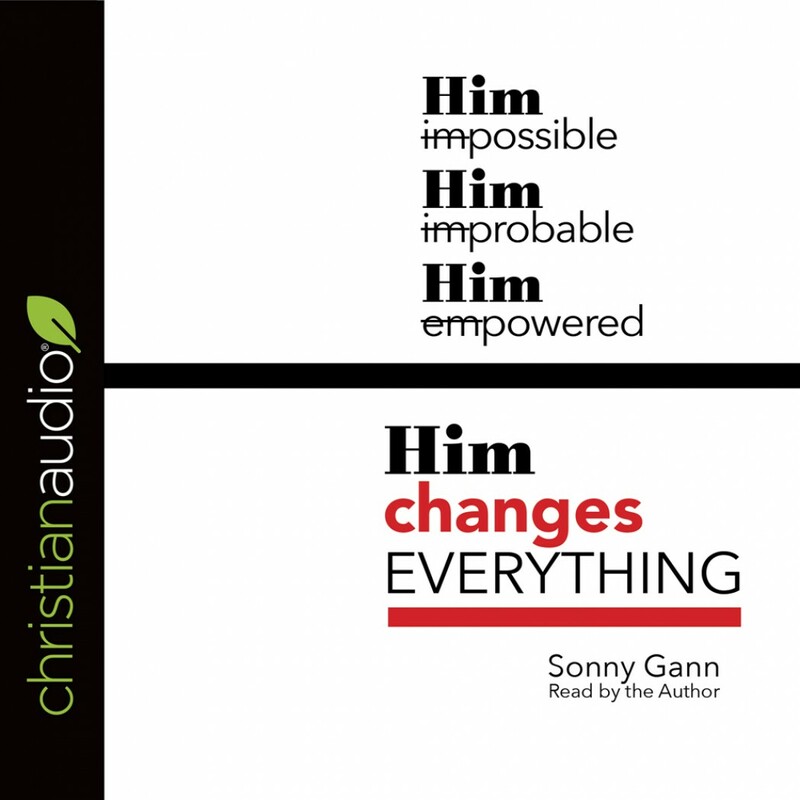 Him Changes Everything | Sonny Gann | Audiobook Download - Christian audiobooks. Try us free. What Are People Saying About Him Changes Everything The impact of writing is greater when you know the writer. The impact of this writing will be great because the writer is consistent in all facets of his expression. Sonny does a masterful job in using word phraseology to explain Biblical truths as only a practitioner of those truths can. I was moved by the examples, encouraged by the illustration and grateful that this servant of the Most High has truly done something unique that will foster dialog. Krish Dhanam, author, speaker, evangelist Being a native Texan, I was quickly captivated by Sonny’s “good ‘ol boy” style of writing and his gift for communicating his personal journey with God. His descriptive writing style made me feel I was a part of each story. I found myself laughing out loud, crying without shame and feeling a range of emotions deep in my soul. The idea of adding “Him” to every aspect of my walk was life transforming. Sonny states his purpose for writing the book was to “impact who you are; with Godly intent. Him Changes Everything does that and more.